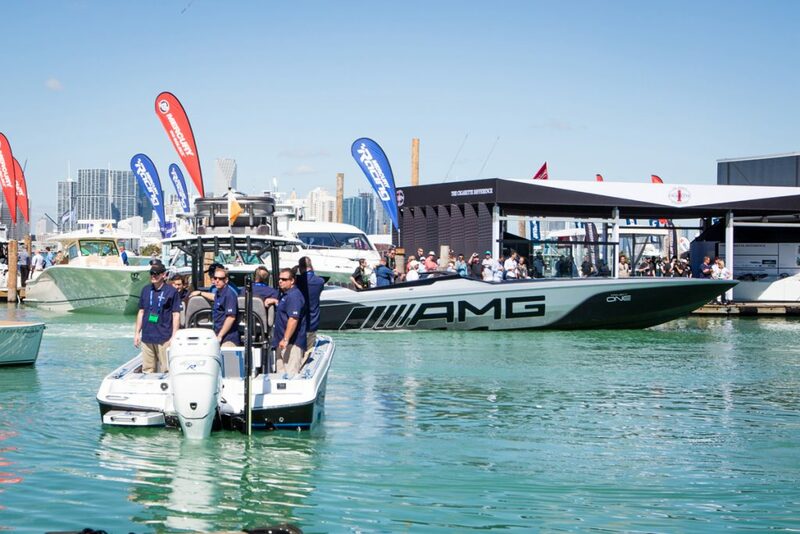 The smell of generously applied sunblock on determined shoppers in boat shoes is in the air as the Miami International Boat Show and the Miami Yacht Show join forces to create the world’s largest display of boats for sale. 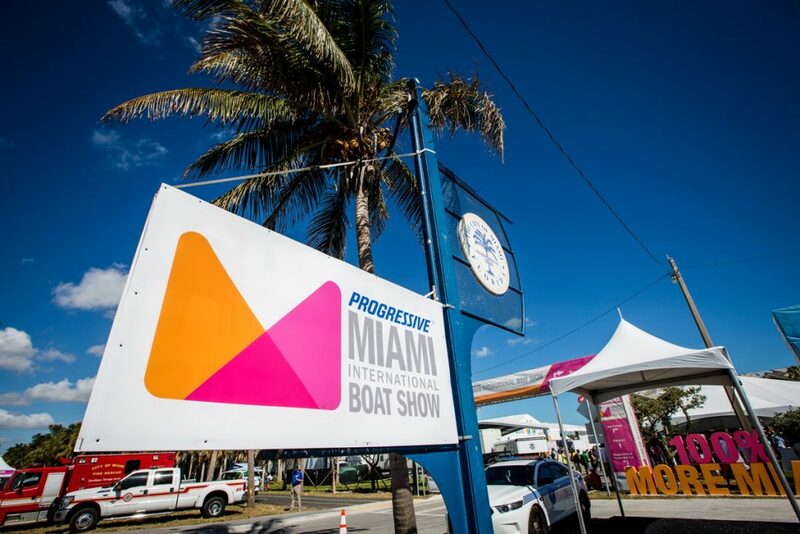 TheMiami International Boat Show (or MIBS, as savvy salts call it) is symbolic of how our fair city has grown to take its rightful place on the world’s stage. As the show celebrates its 78th Anniversary, spanning more than 90 acres, including 3.5 miles of docks, and featuring 1,000+ exhibitors and nearly 1,500 new boats, it’s hard to image that back in 1941 it only had 50 boats under a single proud tent. 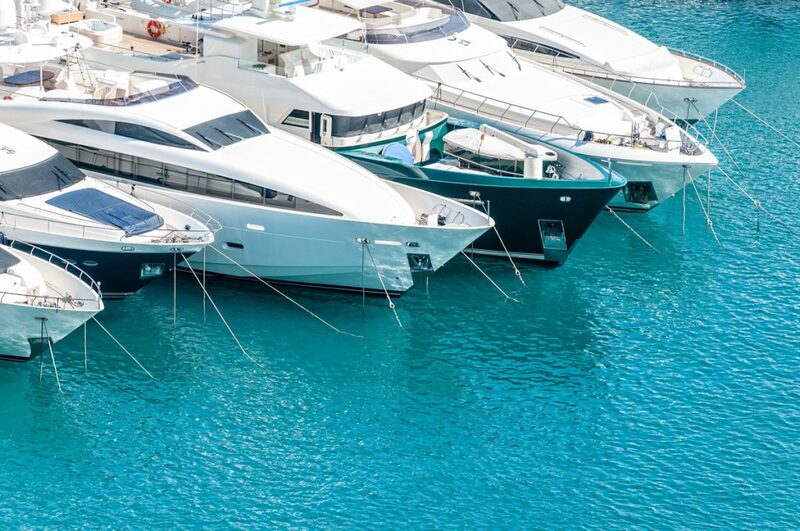 Today, over 100,000 enthusiastic attendees visit the boat show annually to view vessels ranging in size from 10 ft. to 100 ft. in length, including offshore fishing boats, high-performance boats, motor yachts, family cruisers, watersports boats, sailboats, personal watercraft and more. 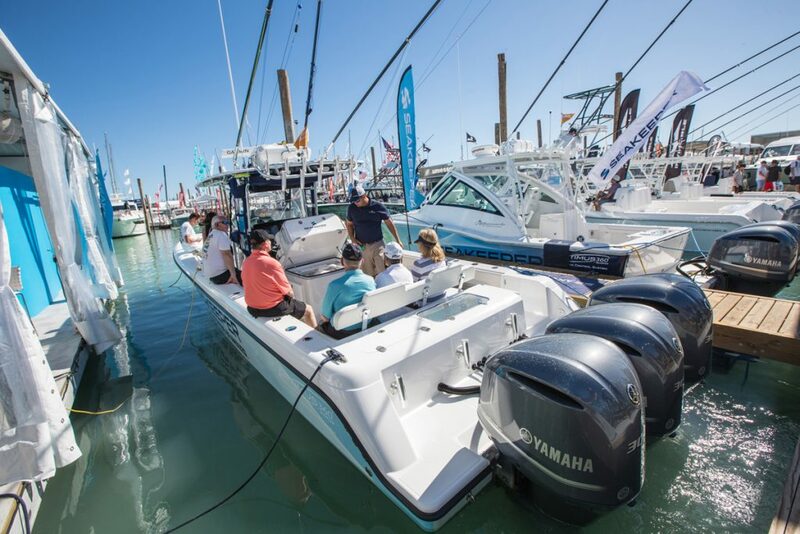 For the price of admission, you also get to check out an unparalleled selection of marine accessories and equipment with more than 500 exhibitors showcasing thousands of the latest marine technologies, gear, apparel and fishing tackle, plus the newest engines from the world’s leading brands. 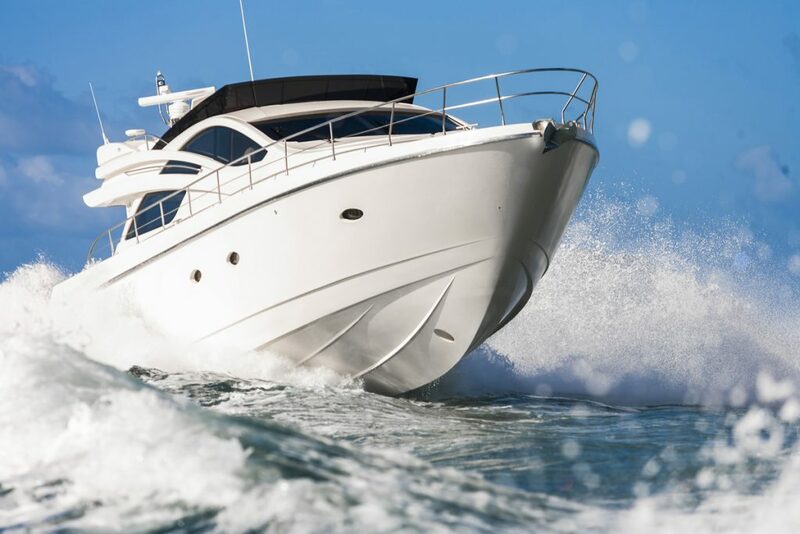 Sea trials, which provide an opportunity for serious boat buyers to take their dream boat for a spin on Miami’s open waters prior to purchase, have been expanded with more than 200 boats available to test drive from leading manufacturers. 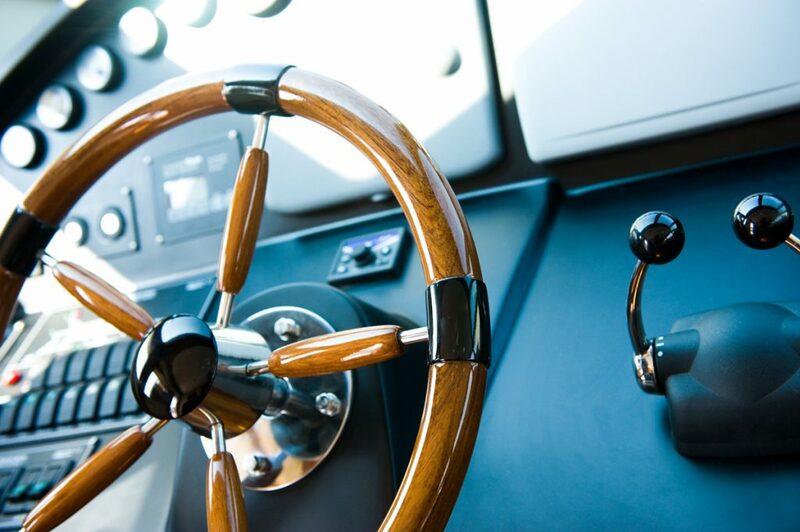 Those curious about boating and wanting to gain more confidence can learn a variety of boat-handling skills at the new Boat U.S. On-Water Training Program which offers daily power boating and sailing courses. Advance registration is recommended. Sailors are often made to feel like second-class citizens, but not at this show! 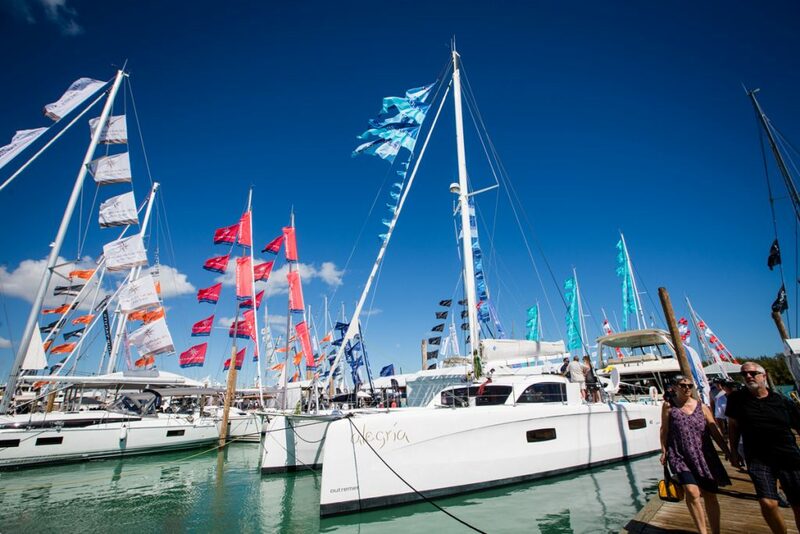 Sailor’s Cove — formerly Strictly Sail Miami — features the world’s leading sailing exhibitors, gear and accessories, plus daily seminars in the Cove’s pavilion and on the water. Let’s be honest, while the boat show itself is mind-blowingly awesome, getting to and from its highly scenic but off-the-beaten-path location is, to put it politely, much less so. This year the transportation situation benefits greatly from a handy new app and onsite transportation screens from RaftUp Technologies. Both provide arrival and departure updates for water taxis and shuttle busesdesigned to allow for better planning. They also have the added benefit of lowering the blood pressure when you do have to wait for the next available transport. Another big change for 2019 — this one of keen interest to Fort Lauderdale and West Palm Beach attendees — is the highly-anticipated high-speed Brightline, which drops riders a convenient 15-minute shuttle ride from the show. Residents of South or North Miami-Dade County can also leave their cars at home and take the Metrorail from any station to the Historic Overtown/Lyric Theater Station. From there, simply head next door to the Brightline MiamiCentral Parking Garage and hop on the bus to the show. Similarly, those in Broward and Palm Beach who don’t find the Brightline depots convenient can take Tri-Rail to the Historic Overtown/Lyric Theater Station. Of course, the most beautiful way to arrive at the show remains via the Water Taxi, which you can pick up at Bayfront Park, American Airlines Arena and the Miami Yacht Show. NOTE: You must already have your admission ticket to board a water taxi. Free shuttle bus service is also available at the show’s 3 convenient downtown parking options — the American Airlines Arena, Brightline MiamiCentral Parking Garage, Hickman & West Lot Garages (book your space early!) as well as from the Miami Yacht Show. Limited general parking is available at Historic Virginia Key Beach, but this is the Unicorn of parking (something highly desirable but difficult to obtain). Similarly, there’s dedicated Handicapped Parking available at Parking Lot C/Seaquarium. Also, Uber and Lyft have a special drop-off and pick-up area within walking distance to the show. Perhaps the ultimate indulgence is Valet Drop-Off & Pick-Up, available at the front entrance of the show near Whisky Joe’s. Guarantee your spot by purchasing your Valet Parking Online and simply drive up, drop off your car and head into the show. All valet and general parking can be conveniently booked at MiamiBoatShow.com. the boat gets to set the rules. Thou shalt not covet thy neighbor’s boat, electronics, equipment or guests. Thou shalt not take thy boat’s name in vain, even when working on it and things go wrong and you find yourself “in the weeds”, or “seaweed”, as it were. Thou shalt keep the Sabbath day for cruising. Thou shalt not anchor too close to a boat with bikini-clad women aboard lest thy spouse smite thee. Thou shalt return with as many people as thou left with, no matter how annoying the crew member or boat guest in question may be. Though shalt not wake a sailboat at anchor, even if it is the “cow-tipping” of the seas. Thou shalt never leave thy fenders out while cruising. It’s just plain wrong. Thou shalt not run out of beer. Thou shalt have fun. This is the most important of all the commandments. 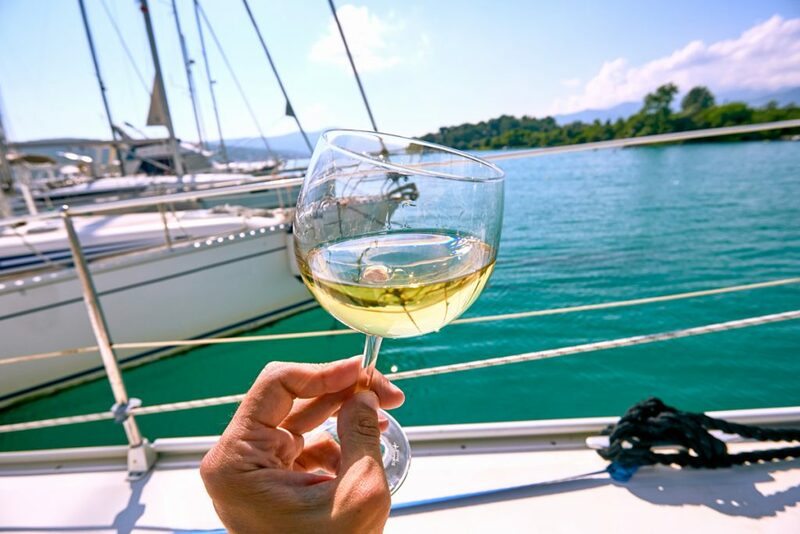 Gourmands can rest easy, the excellent food & wine continues at the Miami Boat Show — yes, there will be gourmet bites and sips at MIBS! New this year, arriving from wine country, is the Meiomi Home, which resembles a Coastal California bungalow right down to the kitchen/wine tasting room where Meiomi will educate showgoers and provide samples of Chardonnay, Pinot Noir, Rosé and Sparkling Wine. 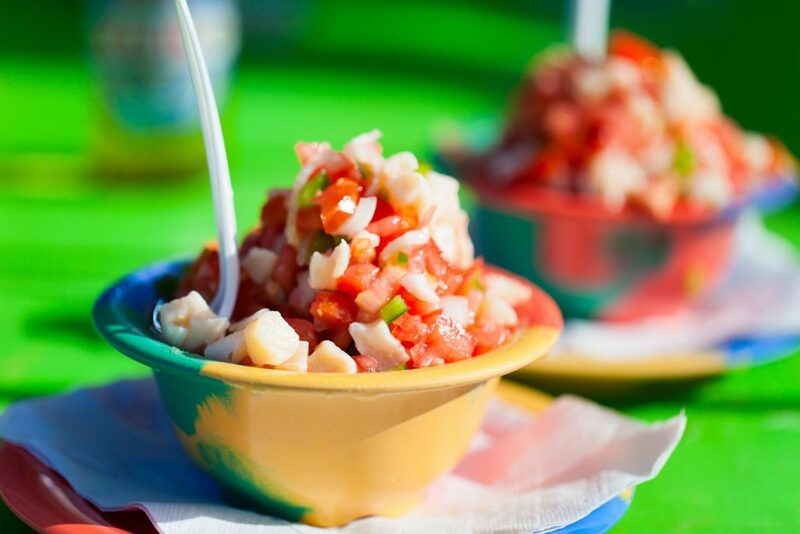 The palate will be further tempted by a wealth of delicious offerings to both waterside and upland, including a trio of sit-down, full-service restaurants: the Latin Café, Knife Steakhouse and SuViche. Additional fun fare from Sushi Maki, Killer Melts, Moty’s, King of Racks BBQ, B.C. Tacos, Ocean Breeze, HipPops and Ministry of Kaapi are also on the mouthwatering menu. The Atlantic Ocean is one of the things that puts South Florida on the map. Oceans are the planet’s life support system, generating half of the oxygen we breathe and contain more than 97% of the world’s water. They provide at least 1/6 of the animal protein people eat. Simply put, to survive and prosper, we need healthy oceans. Inspired? 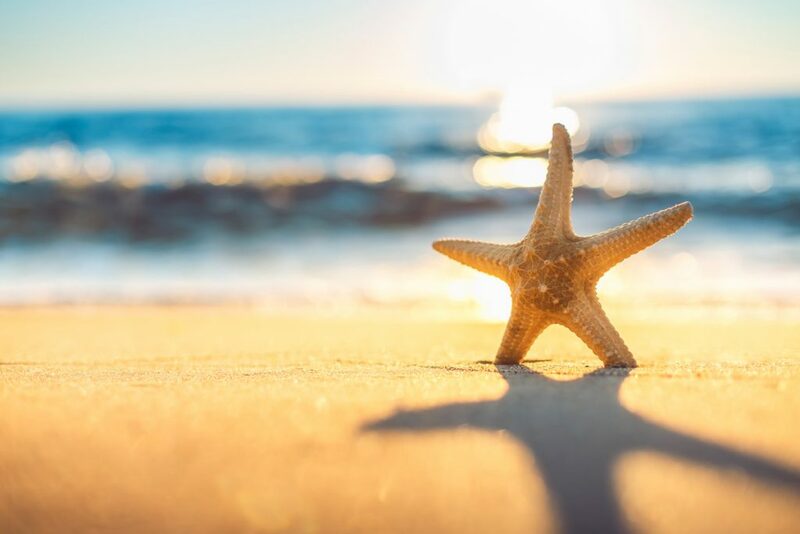 The new Conservation Village has experts ready to discuss environmental issues from marine ecosystem restoration and protection to game fish conservation and more. Plus, there are several ways you can help make a difference. Start helping immediately by purchasing a reusable water container at the show to take advantage of the unfiltered water stations that have been added to this year’s show. You don’t have to drop $2 million on a yacht to be a Boat Show VIP…but it wouldn’t hurt. Other options involve dating an influencer, getting your own television show (reality or otherwise), or arriving in a limo getting off the phone saying “Yes, Mr. President, I’ll get right back to you.” A better tactic is plunking down $125 for the all-inclusive VIP Experience; a bargain when you realize all you get. The benefits start with single-day entry into the show and access to the plush air-conditioned VIP lounge and VIP deck with spectacular views of the Miami skyline and the mammoth show. Where the bodacious added-value comes in is the complimentary food and drink from 11 a.m. to 5 p.m., which is highlighted by a Grill & Carvery by The Knife Steakhouse, Mr. Bing Shaved Ice Cream, happy hour hors d’oeuvres, an open bar and a lavish coffee bar; MiamiBoatShow.com/VIP. No dive training. No wind-blown hair. Just sit back and enjoy an up-close & personal look at the magnificent undersea world. You’ll never miss an extraordinary sight from a Triton Submersible. A completely transparent pressure hull provides visibility in every direction and they’ve positioned the sphere to get you as close to the action as possible. The cabins are maintained at a constant atmosphere and are both climate- and temperature-controlled. Hand stitched leather seats and an integrated sound system help to make each Triton a comfortable place to be. 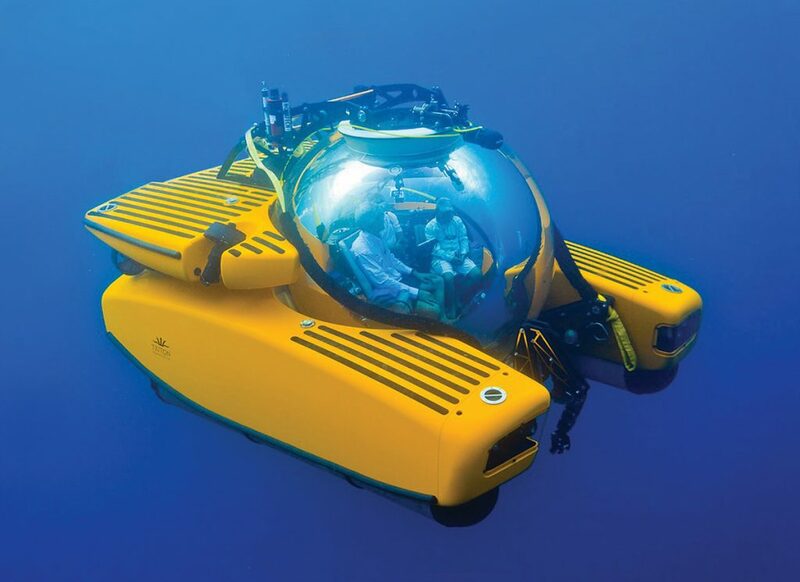 Unlike SCUBA, Triton subs are not limited by depth, exotic gas-mixes or decompression tables. Dives of 12 hours are easily achievable, giving you plenty of time to discover elusive creatures or fully enjoy the wonders of a coral reef; TritonSubs.com. Bet You Don’t Have One Of These! Everyone’s talking about the boats at MIBS, but if you have one already, you’re going to want to head to the tents where the cutting-edge gadgets and gizmos reside. No one needs an underwater ROV, which oddly enough only makes it more appealing. Looking like an alien spaceship, the Power Vision PowerRay Wizard Underwater ROV offers 4K UHD at 25 fps for some pretty spectacular underwater films. Set it to 1080p live streaming, put on VR goggles and you’re swimming with the fishes. It also takes 12MP stills. The Angler package includes a detachable PowerSeek FishFinder; Powervision.me. Forget Wi-Fi. Forget 4G. 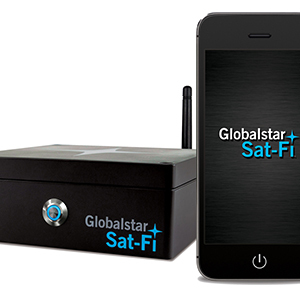 If you absolutely positively must stay totally connected offshore, the answer is a Globalstar Sat-Fi Satellite Hotspot. Not only does it offer the industry’s fastest data speeds, allowing you to send more in less time, but Sat-Fi is a VoIP-to-satellite bridge allowing you to send and receive satellite calls through your existing smartphone. 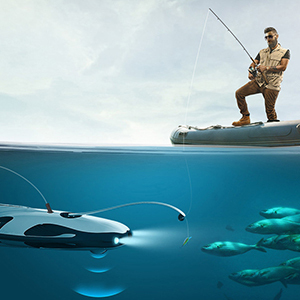 The system allows up to 8 users to share a single connection; WestMarine.com. 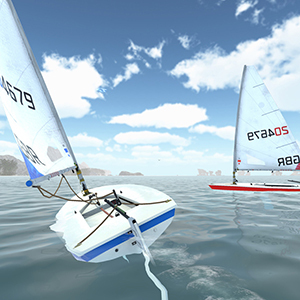 Even with the latest technological advances, real sailing takes work, which is why you’ll be intrigued by VR Regatta. 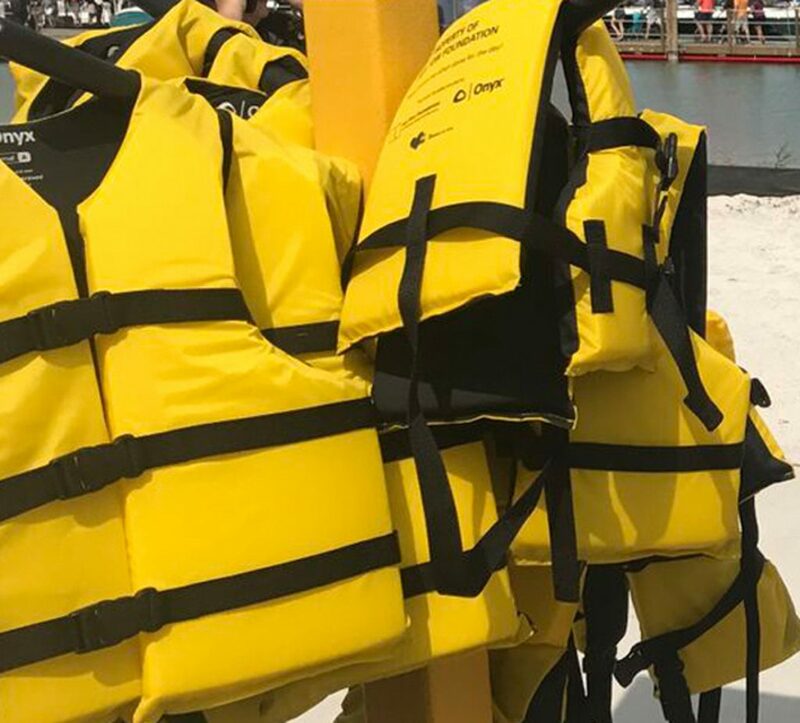 This immersive sailing experience allows veterans and newcomers alike to experience the waters of the Akalana Islands — a faux Caribbean location. Explore, race, or simply enjoy a peaceful moonlit sail. 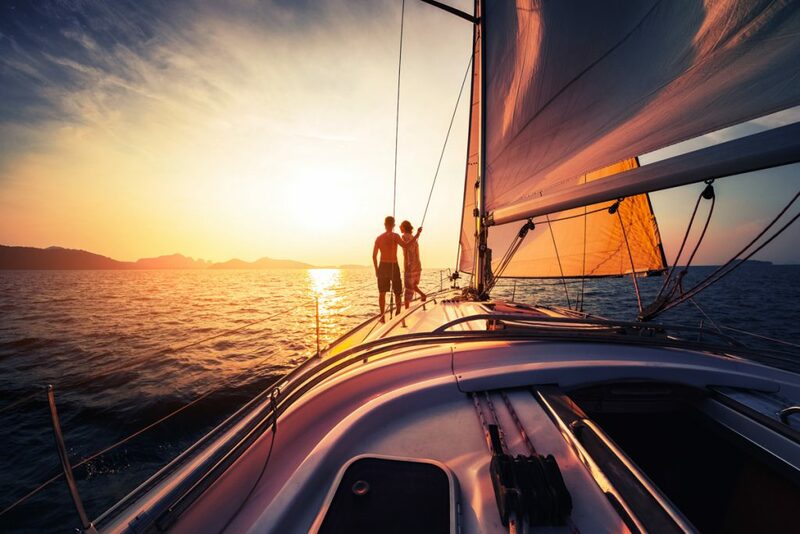 While having fun you’ll suddenly realize you’ve learned the basics of sailing, including steering and speed management; MarineVerse.com. While the fabulous new site of the 2019 Miami Yacht Show is garnering the headlines, we didn’t want that to overshadow the following not-to-be-missed aspects of this year’s exciting show, starting with the premiere night opening evening celebration that will feature entertainment, cocktails and local fare. Of course, there’s no better way to attend the show than with The Windward VIP Experience, which offers guests a premium open bar, gourmet food, happy hours and private events all set in an exclusive climate-controlled venue. The $200 per person per day program includes show admission, valet parking and tender service to and from SuperYacht Miami. 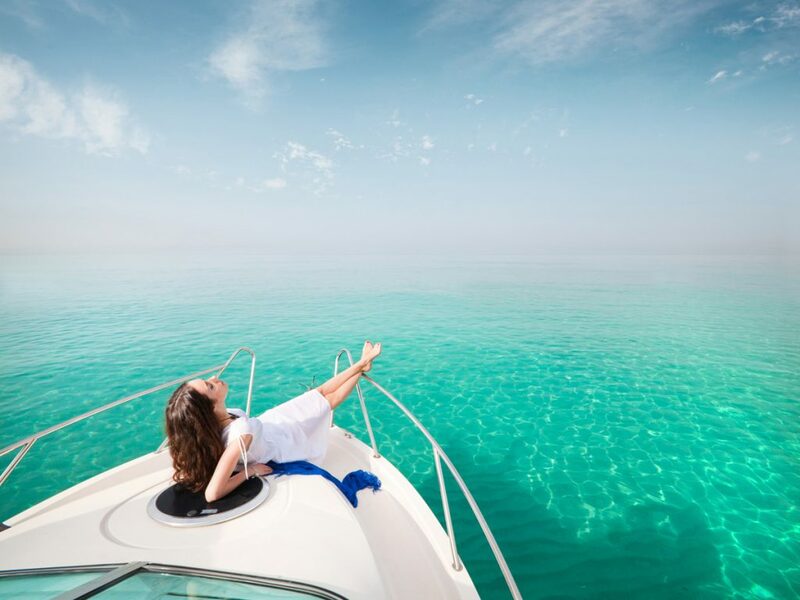 With the Miami Yacht Show’s reputation for drawing ultra-high net worth individuals and large crowds comes other cultural and luxury experiences that perfectly complement the Miami Yacht Show weekend. Taking place next door is Art Wynwood, a leading contemporary and modern art fair produced by Art Miami, the top-ranked international art fair by attendance in the U.S. Similarly, the Watches & Wonders and Miami Concours in the Miami Design District will feature programs that will be of interest to show attendees who are also watch and exotic car aficionados or those just looking to continue to make a wonderful day last longer. Shuttle transportation from Miami Yacht Show to the Miami Design District is available Friday through Sunday; MiamiYachtShow.com.